ようこそ～！You always expect a new year to be a fresh start, but 2018 so far has been a whirlwind. Speaking as an American, social politics are easily one of the most oppressive forces bearing down on you out there. It comes from a good place. We’re all human beings and want to be treated as such. It’s a no-brainer. If someone is being misrepresented, or held down for unfair reasons, then that’s an issue. But the problem with social politics is that one is able to pick and choose where and what might be the cause of inequality with little fear of backlash, often leading to the dulling down of creative flair, or in more blunt terms: fun. It’s a massive trend in gaming in particular, and has been for years now, and while personally I appreciate the manner gaming advertising has grown up a bit thanks to this movement, I don’t care for how it impacts video games regarding presentation. Video game worlds draw you in because they let you escape. They’re over the top, and this distracts you away from the things which are bothering you to enjoy yourself. Does 2B from Nier: Automata make the game less thought provoking or entertaining because of her attractive character design? The rising popularity of anime in the West has be worried that, in order to cater to our impossible social political requirements, series might start taking on a duller style. For example, could Dragon Ball Z be the same without Master Roshi being an old pervert? I’m sure. But does taking a comic relief character such as him out, or altering his personality to not be grabbing nurse hineys and ogling Bulma’s breasts all the time solve much of anything in the grand scheme of things? It’s tough to say where inequality starts and ends; everyone has a different answer. Just like everyone has different tastes and tolerances for toilet humor or innuendo. When the path of social politics intersects with my escapism though, I’m not a fan. Ichimatsu Kohina is an instant ramen enthusiast. As a self-proclaimed doll, she finds little need for much else. A styrofoam cup of noodles is all she needs. One spirit begets another, and Kohina soon finds her home harboring a number of spirits, each with their own unfortunate vices. This series has been in my backlog for a very long time. Having watched the first two episodes and fallen off for some reason or another, I was happy to hop back in, and those first few episodes were just as charming and humorous as I had remembered. The issue with Kokkuri-san though, is that once you’re past the introduction, it doesn’t go out of its way to continue changing things up to keep itself fresh or engaging. New characters come (and some are almost instantly forgotten about), but once their quirk is established, their interactions become one-noted and quick. There is a sort of sad undertone nestled underneath the slice of life gags, but this is largely swept under the rug and never brought up again at a certain point. This is too bad, because I think if this series had closure to such things, it would give the viewer something to look forward to other than the next airless gag or uninspired scenario. 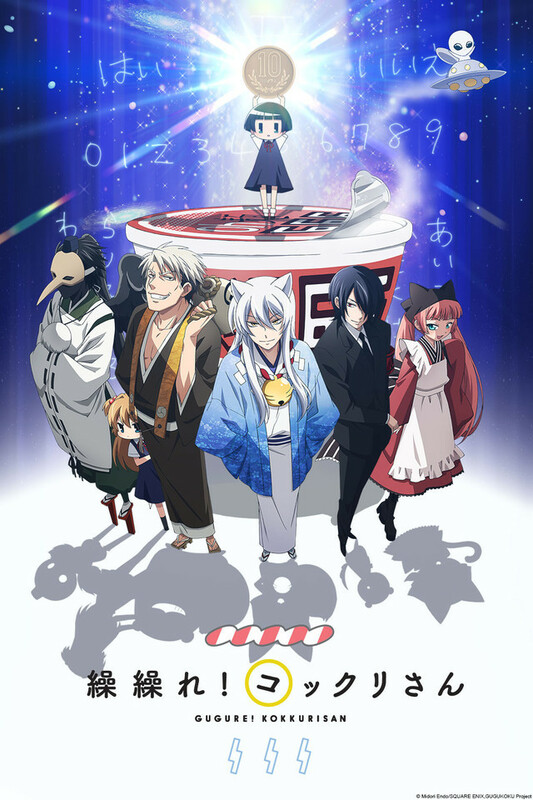 The series looks and sounds great (I love that OP), and the characters themselves are fine for what they are, but the comedy begins lacking the sting or shock to keep you rolling, and the most endearing character, Kohina herself, seems to fall to the wayside while Inugami and his spirit brethren hog the spotlight. This is a comedy series which seemed to have overlooked its potential. A solidly entertaining front end can’t save this series from its been there, done that slice of life trappings. 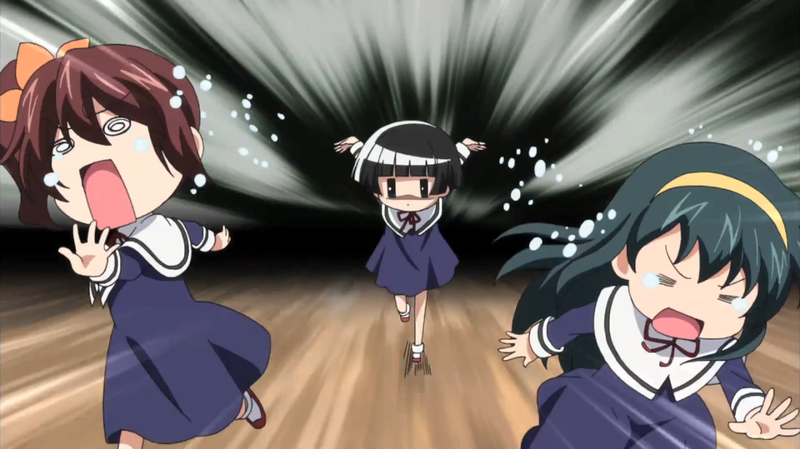 Gugure! 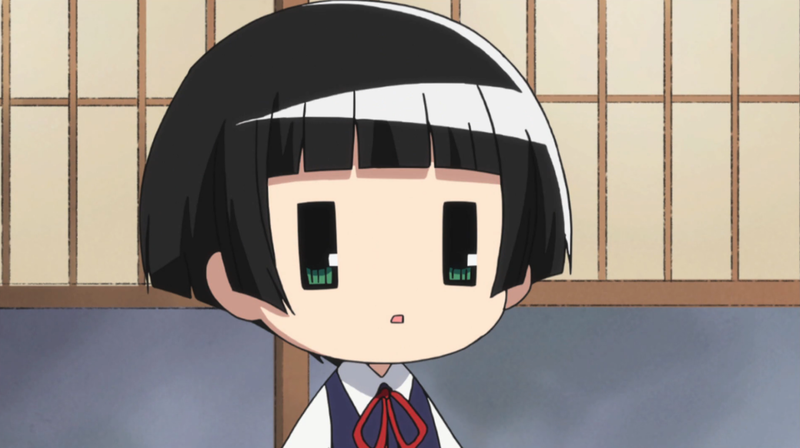 Kokkuri-san is not a series without laughs, but a few good gags spread out over the course of twelve episodes simply isn’t enough to fill your stomach. The PC was upgraded recently, which not only makes producing video content snappier, but also opens the door to higher quality streams, so the options have expanded a bit as far as things like that go. Whether the time will be set aside to take advantage of that, it’s tough to say. January and February have been exceedingly noisy for my apartment, so there has been next to no opportunity for the quiet needed to record White Day episodes or the DB FighterZ feature I’ve wanted to do for the past few weeks. Yell at them for me, would ya? Speaking of which, the launch of DB FighterZ has me watching through DBZ Kai, which in part explains the limited post here. There are flaws for sure, but Kai seems to be a good option for someone who isn’t as interested in filler, and while maybe I’d be humming a different tune if I were waiting for new episodes week to week, but at least in Kai’s case, the narrative is paced very well, and episodes end in a manner which makes you want to immediately watch another.